Tiffaney Hunter aka The Houston Hunter recently shared unique and affordable graduation gift ideas with Anoushah Rasta on KPRC 2 Houston. From sweets and accessories to spas and getaways, there was something for every taste and budget. If you missed it, take a quick moment to watch the segment by clicking here. Surprise your Graduate with the timeless and treasured gift of jewelry from the Chamilia Collection. The line only uses Swarovski stones, 100% sterling silver and 14 karat gold, thus is perfect for the gift buyer who is looking for heirloom quality at an affordable price. The Chamilia Odyssey Pearl Collection features an Odyssey Pearl Y-Drop Necklace ($70) and Odyssey Drop Earrings ($45). Both feature a Swarovski Creamrose Crystal Pearl. Additionally, the collection features charms, charm bracelets, stackable rings and much more. The collection can be viewed and ordered online at www.chamilia.com. After weeks of studying and attending graduation celebrations, why not surprise a deserving Graduate with a relaxing and rejuvenating day at the spa? The Mokara Spa is located in the Omni Houston Hotel and features an array of amazing services including massages and facials for both men and women. The spa also offers great products and gift cards that will be the perfect gift. Spa services and gift cards can be purchased by visiting http://www.omnihotels.com. When I graduated college, one of my most memorable gifts that I received was a Carnival Cruise to Mexico, Jamaica and the Cayman Islands! It was an amazing time and with Galveston being just an hour drive away, a four-to- seven day cruise is a perfect gift and way for recent Graduates to enjoy a fun and affordable vacation to celebrate their accomplishments. The good news is that The Carnival Breeze recently arrived to Galveston and will now be offering 7-day cruises to the Caribbean. With it being new to Galveston, there are several great deals being offered which can be viewed online at www.carnival.com. 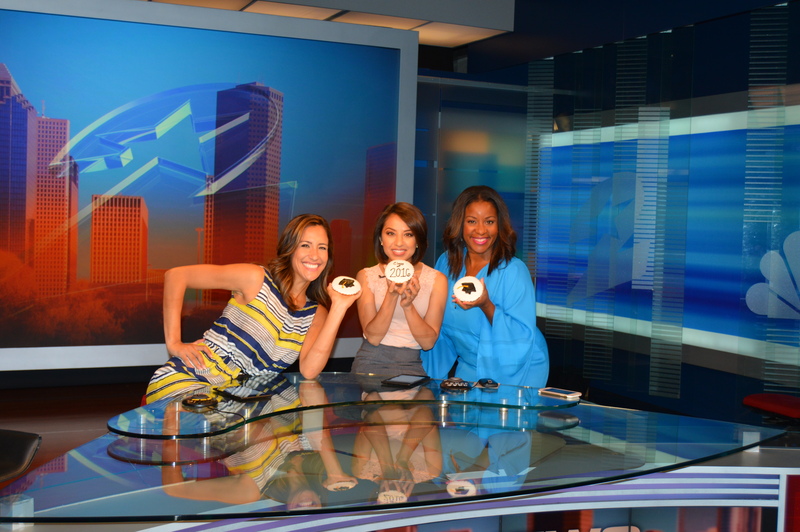 Fun pics and selfies with KPRC Anchors Anoushah Rasta and Sofia Ojeda.